WARDEN CARTER DAVENPORT MUST GO !! No !!! We are not going anywhere! No, we are not backing down ! No, we will not retreat ! On May 7. 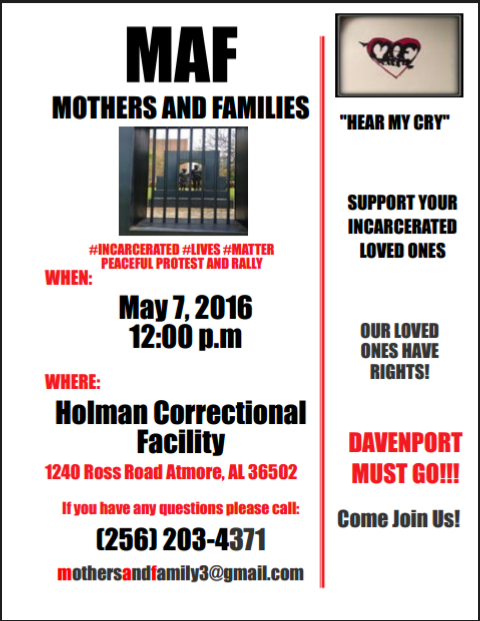 2016, Mothers and Families, Inc., will be returning to Holman prison again in Atmore, Al to DEMAND THE RESIGNATION OR FIRING OF WARDEN CARTER DAVENPORT! !! 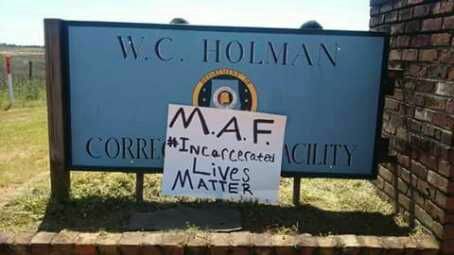 From the sexual violence and rapes at Tutwilet prison, to the violence and deaths at St. Clair, now to riots and suicides at Holman, as public citizens we no longer consent to his authority to govern. 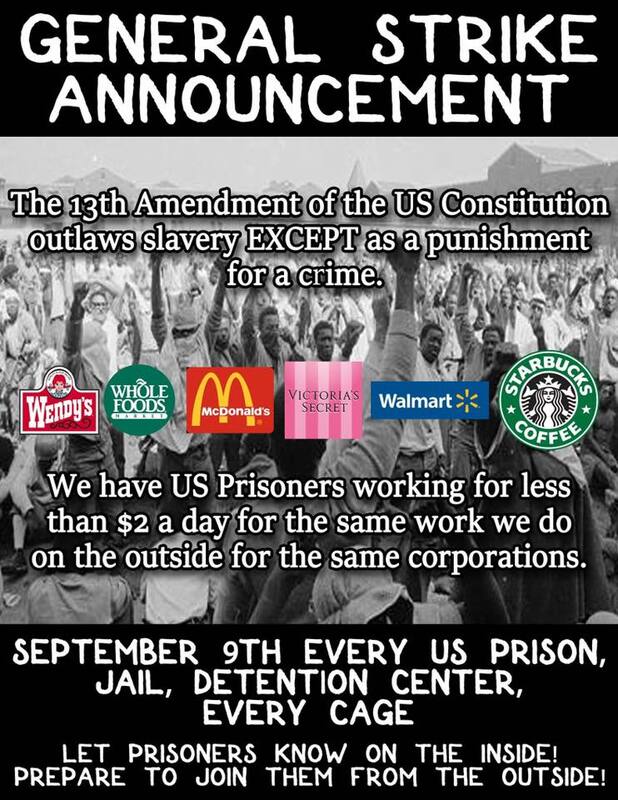 Therefore, we will be returning to Holman prison and we will continue to return all FREEDOM SUMMER long, until Warden Carter Davenport is gone. Remember Young Brother Rocrast Mack. “Another officer approached Mr. Mack and ordered him to get on the ground. Witnesses saw Mr. Mack comply with these orders and quickly get on his knees and place his hands on his head. Soon after, at least five other officers, including Lieutenant Michael Smith, arrived at the scene after responding to a call for back-up. Even though Mr. Mack was on his knees and subdued, witnesses report that officers violently assaulted Mr. Mack. Officers beat Mr. Mack with batons and fists, striking his head, face, and body. Part of the situation at St. Clair involves Officer Lindsey, who used a pair of handcuffs to hit a defenseless man in the mouth. The man defended himself in self-defense from this unprovoked attack, which left his mouth busted open and the officer with sever damage to his jaw and mouth. This is the second incident in the past few months where an officer used a pair of handcuffs to assault someone. In the first incident, Ventura Harris was struck in the back of the head while handcuffed and required over 15 staples to close his scalp back together. We are asking everyone to please join FAM on Sunday, Feb. 1, 2015, at 11:30 am for a “STOP THE VIOLENCE, WARDEN DAVENPORT MUST GO” Prayer Vigil and Demonstration. 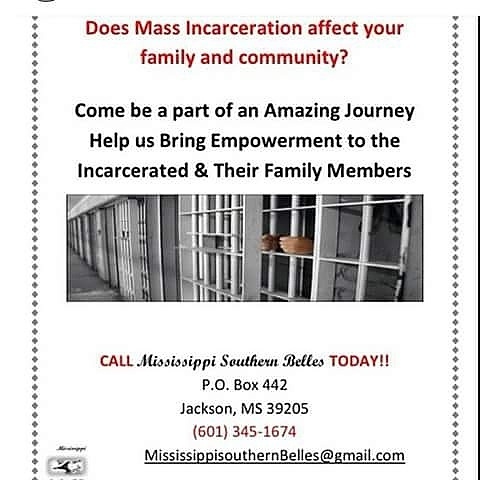 Contact Ms. Ann “Mother Ray” Brooks @ 256-783-1044 for additional details. In 2010, ADOC Commissioner Kim Thomas appointed Warden Carter Davenport as the Warden of St. Clair CF in Springville, Al. 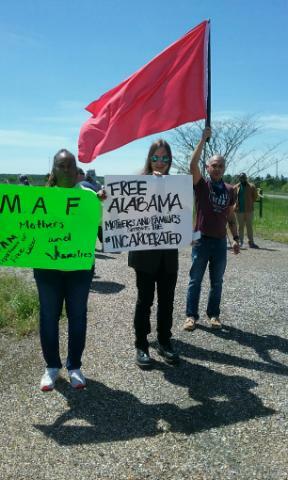 At the time Warden Davenport arrived, St. Clair was the least violent maximum security prison in the State of Alabama with only 23 incidents of violence for a prison population of appx. 1,300 men. Just three (3) shorts years after his arrival to St. Clair in 2010, the violence level would quadrupled to 101 violent incidents in 2013, including two murders. By 2014, six people have been killed, including 4 murders in 2014 alone. 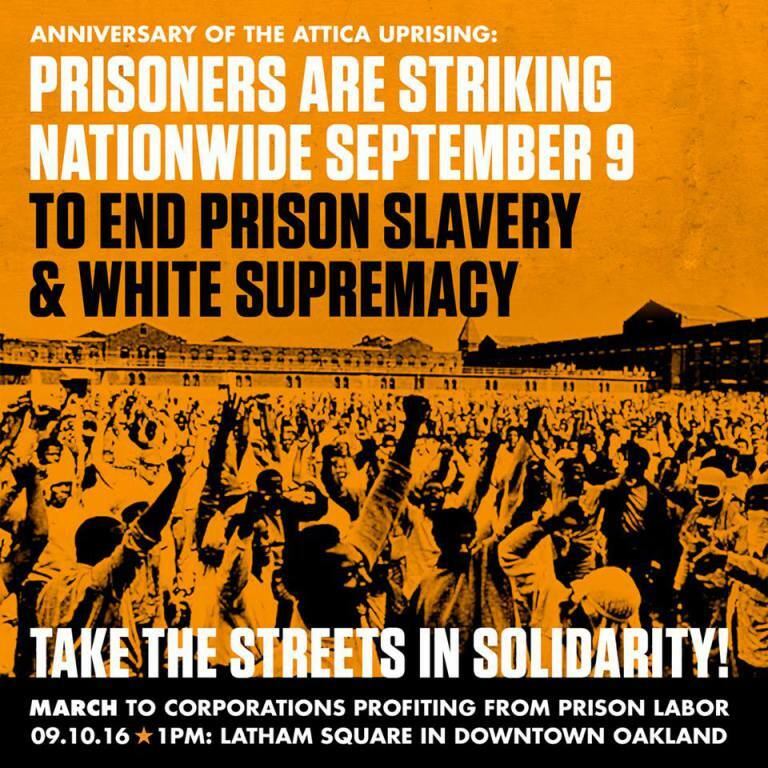 St. Clair prison would witness historic levels of violence that would ultimately make St. Clair prison one of the worst in the Nation. Warden Davenport has created a toxic and hopeless environment where violence rules and where there is no accountability, no respect for Adm. Regs and S.O.P.’s, and no resources allocated to Education and Rehabilitation. Warden Davenport has overseen an administration that has repeatedly violated the Civil and Human Rights of the men incarcerated under his authority at St. Clair. In fact, Warden Davenport himself has been suspended for beating a man in handcuffs at St. Clair in 2012. The Equal Justice Initiative and the Southern Povery Law Center have filed class action lawsuits against Warden Davenport and ADOC for the violent culture and abuse that Davenport has overseen. One man, Joseph Shack was awarded over $70,000 in 2014 when he was beaten while handcuffed by Sgt. Mason- Sgt. Mason remains employed. EJI, The Montgomery Advertisor, and several others have called for Warden Davenport’s removal. 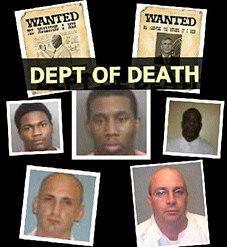 As Under Davenport’s watch, six (6) people have been killed at St. Clair prison: Jamie Bell, John Rutledge, Marquette Cummings, Tim Duncan, Jodie Waldrop and Jabari Bascomb. 2015 began with a wave of violence that has taken St. Clair by storm. As of January 23rd, over 20 people have been stabbed, officers have beaten several people, the Riot Team was called in, the prison went on lockdown, and several men are still hospitalized. Prior to Warden Davenport’s arrival at St. Clair prison, the men incarcerated, in conjunction with the previous Wardens David Wise and Warden DeAngelo Burrell, had founded a program called Convicts Against Violence. This program was largely responsible for bringing down the violence level at St. Clair to the historic lows that were in place when Davenport arrived. Yet, since his arrival at St. Clair, Warden Davenport stopped the Convicts Against Violence program, and to this day, C.A.V. remains the only program that has been stopped. Warden Davenport also ended C.A.V.’s conflict resolution and mediation classes, and the Educational and Mentoring program which had enrolled and actively engaged over 400 Students from L-M and P-Q dorms where predominately black men were/are now “warehoused” with no oulets for their frustration. This abuse of power and state-engineered violence, which can be tracked back directly to the hiring of Warden Carter Davenport must be stopped. Some guards at St Clair are undisciplined and abusive under the leadership of Warden Davenport. 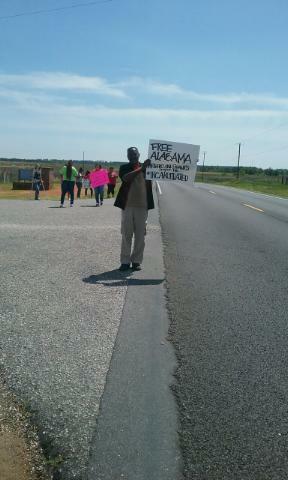 This is not the way citizens of the State of Alabama intend for their tax dollars to be spent. Take control of your tax money and sign this Petition to have Warden Carter Davenport removed from our payroll. 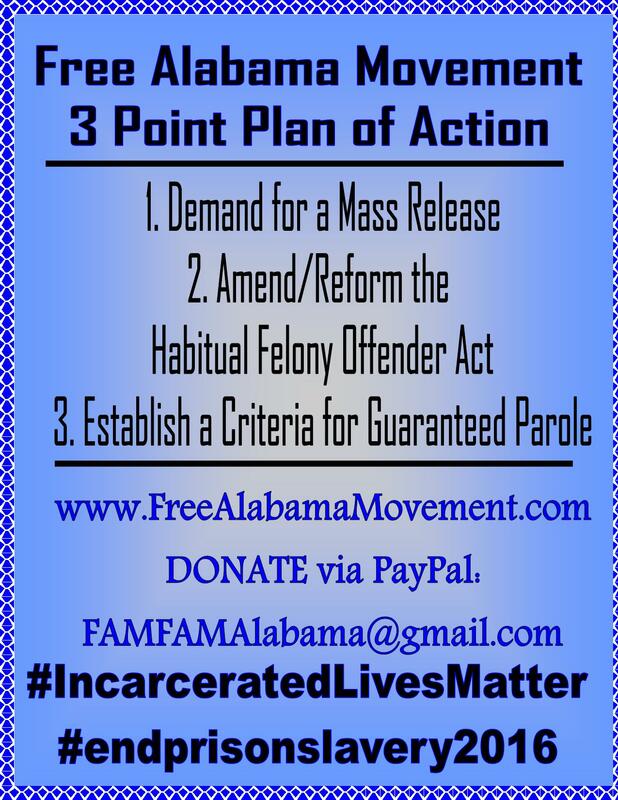 The Alabama Department of Corrections seems to be implementing some type of covert operation where they are isolating everyone who has filed any type of litigation against St. Clair Cf into the maximum segregation unit of A Block. In the coming days, F.A.M. 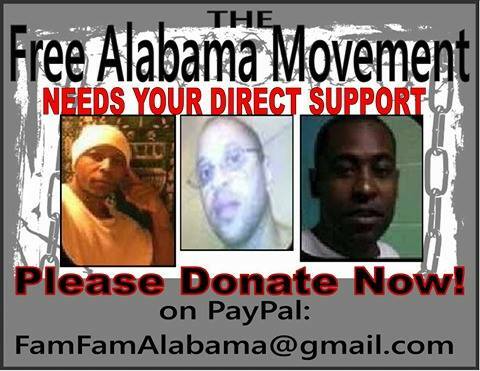 will be asking our supporters to assist us in reaching out to some civil and human rights organizations and the U.S. DEPT OF JUSTICE to address these punitive tactics. The people being targeted are being placed into a segregation unit irregardless of whether they have any segregation time or not. Once there, all mail, reading material, newspapers, visits, phone calls, and other privileges are being denied. 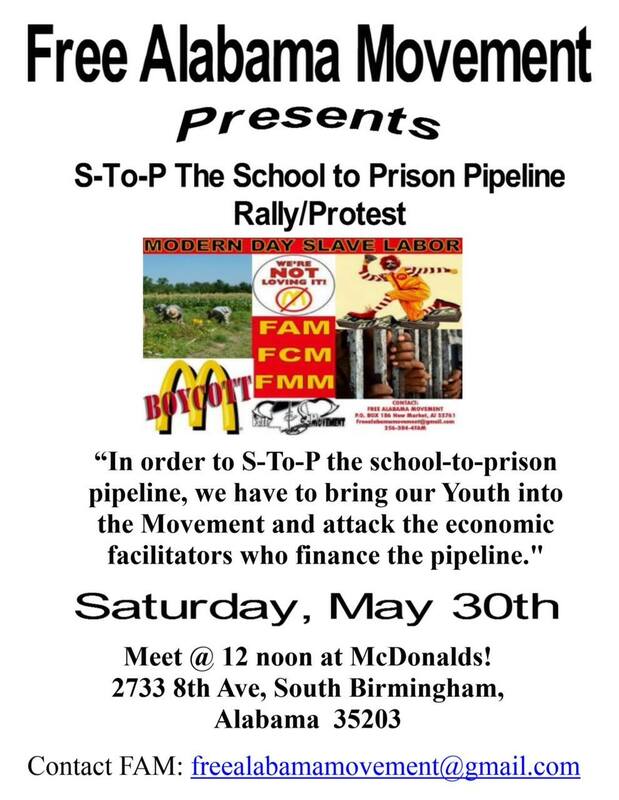 It appears that these moves are being ordered by Captain Gary Malone and Warden Carter Davenport, and that they are in response to the hightened media attention that has been brought onto St. Clair by the lawsuits filed by the EJI and the SPLC.